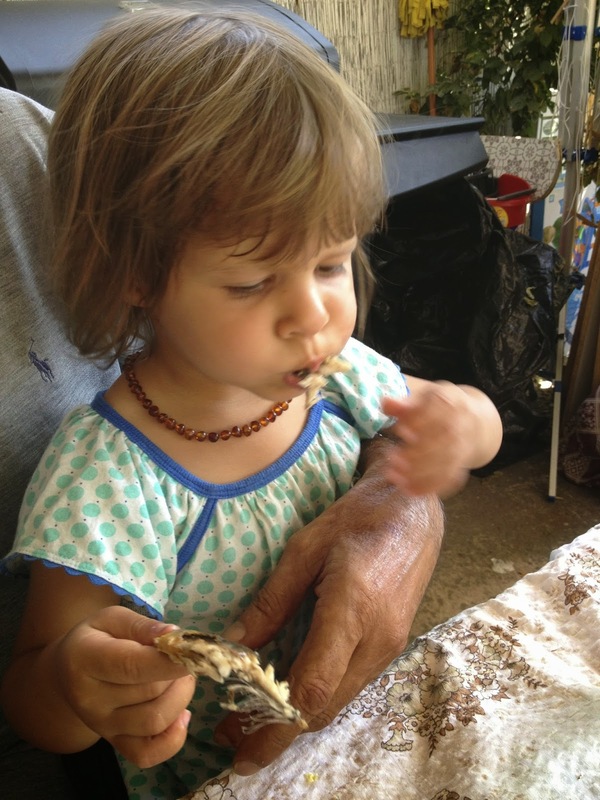 Greek Food Odyssey - cooking classes, recipes and travel: Sardines 2 ways - charcoal and fried! 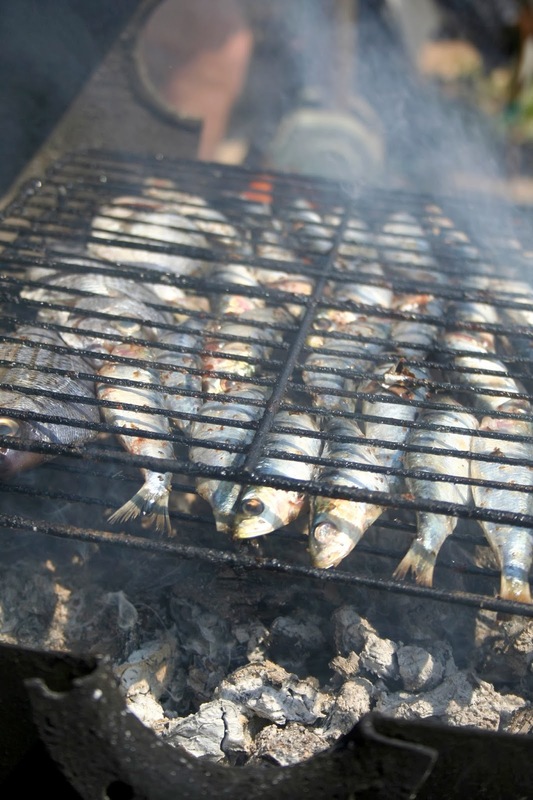 Sardines cooked on charcoal…in my opinion the best way to eat them. 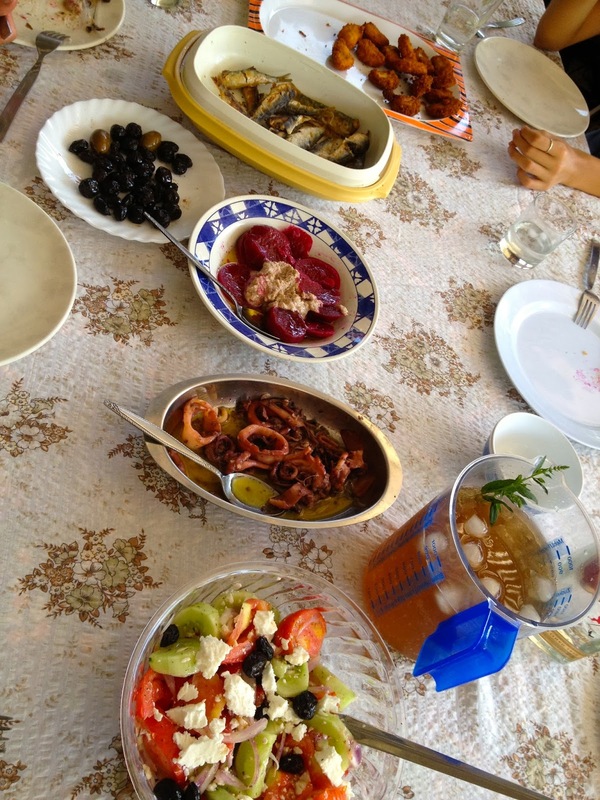 Nothing is more Greek in summer than freshly caught fish on the bbq or fried with a fresh horiatiki (what we know as Greek salad) with produce only from the garden and ouzo or tsipouro. 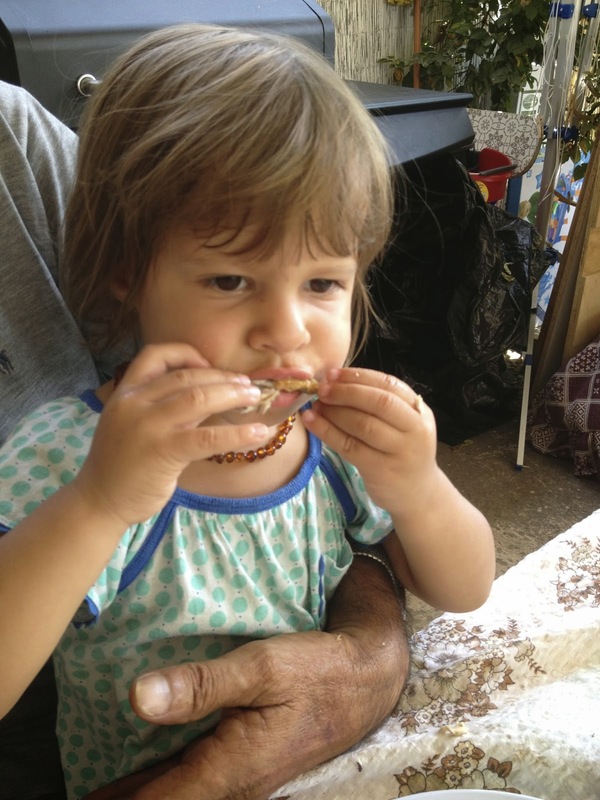 During my holiday in Greece this year we indulged in these little beauties at least once a week. They are not only wonderful eating but very healthy. 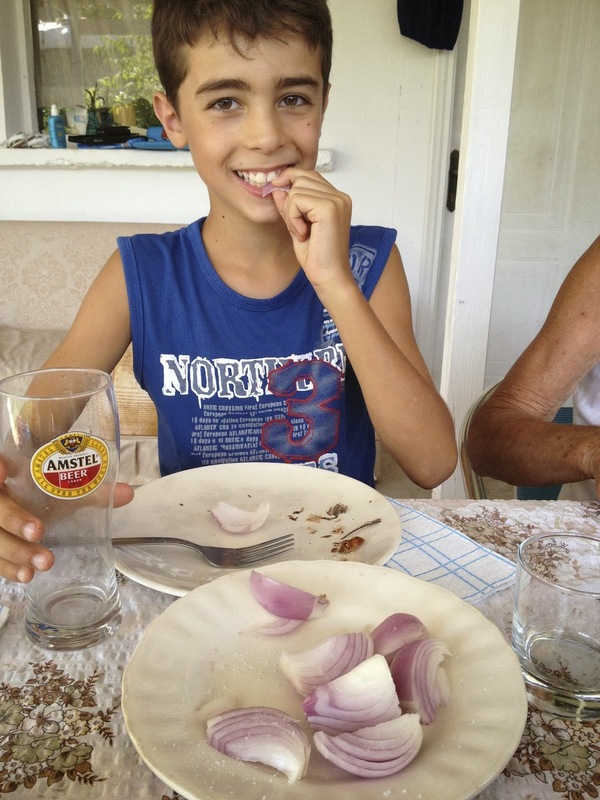 Angelo enjoying some raw onion..No fast food lover here! 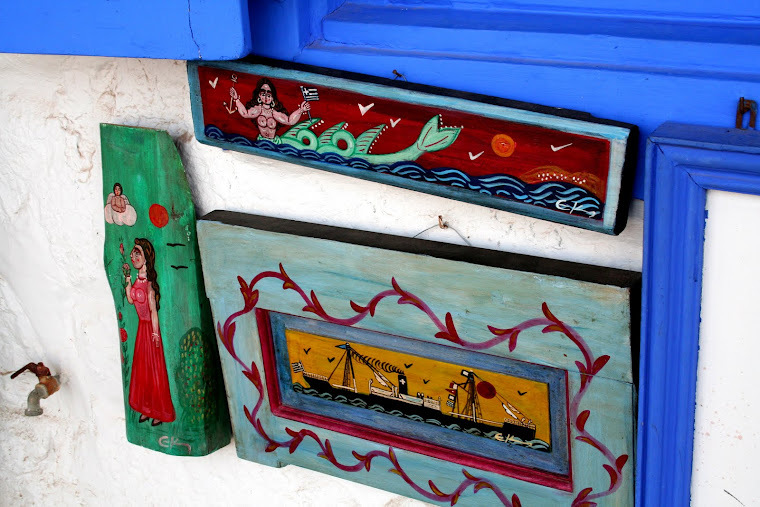 mmmmm…..me thinks she like them!!! Wash the sardines well and pat dry. Brush them with olive oil, season and grill quickly over charcoals on the barbeque for about 3-4 minutes on either side. They should be cooked through and the skin will be slightly charred. 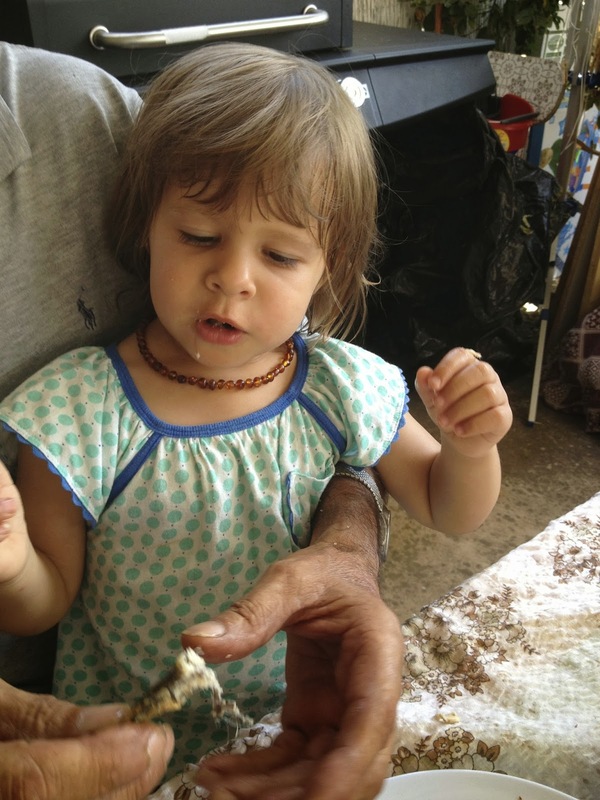 Dust the sardines with the flour and fry in a hot pan with oil until golden. Serve with lemon wedges..